Jamb Novel 2019/2020: Do You Think Jamb “In Dependence” or “swee Sixteen” Novel Will Be Used For Jamb 2019/2020? You will recall that ever since the joint admission and Matriculation board introduced the novels from which questions are drawn from, candidates have been searching the web for more information about the novels and if jamb will introduce another novel this coming jamb or not. Let’s take a quick look into the history of the two novels jamb currently use as at today. After The Successors by Jerry Agada was dropped by the joint admission and Matriculation board jamb, they introduced another interesting novel that became the talk of the town few years ago. The last days at Forcados high school was introduced in 2015 the same period computer based testing exams was introduced and when prof Dibu Ojerinde. was the boss of jamb. 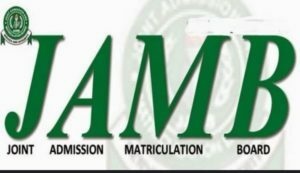 shortly after prof Ojerinde left office the new jamb registrar introduced In Dependence, although there was a legal battle between jamb and the author of The last days at Forcados high school challenging the decision of the Board to drop his books. But today all that has been history. Jamb has been known to keep changing novels each time a new registrar, probably each feels to introduce the best that they consider best to UTME candidates. Get your self well prepared for questions that normally comes out from the novel. What’s your view about all we have written above?